Emphysema means inflate or swell which make sense because in the lungs of people with emphysema, the alveolar airsacs which are the thin walled air spaces at the end of the airways where oxygen and carbon dioxide are exchange, become damage or destroyed. The alveoli permanently enlarge and lose elasticity and as result with individual with emphysema typically have difficulty with exhaling, which depends heavily having the ability of the lungs to recoil like elastic bands. Emphysema actually under the umbrella of chronic obstructive pulmonary disease or COPD along with chronic bronchitis. This two differs that chronic bronchitis is define by clinical feature like productive cough, where emphysema defines as structural changes, mainly enlargement of the air spaces. That being said they almost always co-exceed probably because they share the same major cause like smoking. With COPD the airways becomes obstructive, and the lungs don’t empty properly and that leads air trapped inside the lungs, for that reason the maximum amount of air people with COPD can breathe out in a single breath, known as the FVC or the force vital capacity is lower. This reduction is especially noticeable in the first second of air breathe out in a single breath called the FEV1 (force expiratory volume in 1 seconds) which typically as reduced even more the FVC. A useful metric therefore is the FEV1 to FVC ratio, which since the FEV1 goes down even more the FVC, causes the FEV1 to FVC ratio go down as well. Alright, let say normally your FVC is 5 liters and your FEV1 is 4 liters, your FEV1 to FVC ratio will end up being 80%. Now someone with COPD the FVC 1 might 4 liter instead, which is lower than normal. But the volume of air that they can expire in first 1 second is only 2liters, so not only are both this values are lower, but the ratio are lower as well, and this is the hallmark of COPD. All that had to do with breath air out right? Conversely for air going in the TLC or the total lung capacity which the maximum volume of air that can taking in or inspired into the lungs is actually often higher because of the air trapping. Emphysema is a form of COPD that based on the structural changes in the lungs specifically is the destruction of the alveoli. Normally, oxygen flows out of the alveoli and into the blood, while the carbon dioxide make the reverse commute. When the lung tissue is exposed to irritants like cigarette smoke, it triggers and inflammatory reactions that affect the delicate alveolar wall and affect the flow of gases. Inflammatory reactions attracts various immune cells, which release inflammatory chemical like leukotriene B4, IL-8, TNF-alpha. It has also proteases like elastases and collagenases, these proteases breakdown key structural proteins in the connective tissue layer, like collagen as well as elastin which is the protein give the tissue elasticity and least this is the problem seen with the emphysema. In healthy lungs during exhalation, air passes to the airways in high velocity creating a low pressure environment in the airway, and this is due to Bernoulli principles whereas as a fluid which includes air moves at higher velocity it must have a lower pressure, now this lower pressure tends to pull the tiny airway inward. Strong healthy airway wall full of elastin can withstand that pressure, and don’t collapse they hold the airway open and allow air to fully escape during exhalation. With emphysema that elastin are loss which make the airway walls weak and allow that low pressure system to pull the wall inwards, and collapse during exhalation. This ultimately leads to air trapping because the collapse airways traps a tiny bit of air distal to the point of the collapse. Also this loss of elastin make the lungs more compliant, meaning that when the air blows in to them, they easily expand and then hold on into air instead of expelling it during inhalation, and so the lung will start look like large thin plastic bags. This loss of elastin also result in the breakdown of thin alveoli walls called septa, without this wall neighbouring alveoli coalesce into larger and larger air spaces, which means the surface area available for gas exchange is reduced relative to expanding volume, which affects oxygen and carbon dioxide levels. This process all happens in acinus which is the ending of lung airways where those clusters of alveoli are located. Different type of emphysema affects the acinus slightly differently. The first pattern of emphysema is centriacinar emphysema or centrilobular emphysema, this is the most common pattern and it really only damages the central or proximal alveoli of the acinus. This is the pattern seems with cigarette smoking, and it’s though to happen because the irritants from the smoke aren’t able to make it all to the way to the distal alveoli. Centriacinar emphysema typically affects the upper lobes of the lungs, there are also panacinar emphysema where the entire acinus is uniformly affected and this is often associated with genetic condition, alpha 1 antitrypsin deficiency. Now in healthy individuals macrophages are always letting out some proteases to help clear the debris that occasionally finds its way to the ancinus. But those proteases break down proteins right? So this can damage the tissue. Alpha-1 antitrypsin is a protease inhibitor that generated by the body to protect against unintended collateral damage from this proteases. People with alpha-1 antitrypsin deficiency don’t have this protective proteases inhibitors and so they end up with damage airsac that affect the entire acinus. Panancinar emphysema typically affects the lower lobes of the lungs. The third and final type of emphysema called the paraseptal emphysema in which the distal alveoli of acinus are most affected, and this type typically affected the lungs tissue in periphery of the lobules, near in the interlobular septa that separates each lobule. The thing keep mind about paraseptal emphysema is that the balloon out alveoli in the lungs can rapture and cause a pneumothorax. People with emphysema typically experience symptoms like dyspnea which is shortness of breath, due to air trapping and decrease gas exchange. To help counter act this, people sometimes exhale slowly through pursed to lips, which increases the pressure inside the airways and prevent them from collapsing easily. This way of breathing explains the nickname pink puffers, since individual aren’t able to oxygenate their blood, but they have to purse their lips to do so. All this constant energy to spend on breathing can even cause weight loss, overtime when more and more tissue is affected emphysema can lead to hypoxemia or low oxygen in the blood. There can also be a cough with some amount of sputum from inflammation of the small bronchioles that causes excess mucus production via goblet cells. But this is a lot different from productive cough with lots of sputum seen with chronic bronchitis. 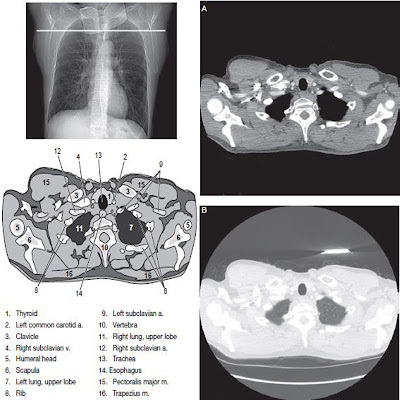 Overtime, air trapping and hyperinflation of the lungs can cause an individual to develop a barrel shaped chest, and in on chest xray, individual might have an increase of anterior-posterior diameter, a flatten diaphragm, and increase lung field lucency. In normal physiology there is a process called hypoxic vasoconstriction, where if for some reason one area of the lungs has poor gas exchange, then the blood vessels go to that area undergo vasoconstriction, and it attempt to shunt blood to an area with better gas exchange, and its works great if hypoxic localize to one area of the lungs, but if on a large proportion of the lungs, aren’t exchanging gas effectively, and that vasoconstriction start involving to many blood vessels, and this leatds to pulmonary hypertension, overtime this increases the work that have to be done by the right side of the heart to pump blood to the lungs causing it to enlarge a process called cor pulmonale which eventually leads to right sided heart failure. Treatment of emphysema largely involve reducing risk factors in managing associated illnesses. Since smoking is the major player in causing emphysema, stopping smoking is the major player in reducing mortality. Supplemental oxygen as well as medication such as bronchodilators, inhaled steroids and antibiotics to control secondary infections are all helpful in managing emphysema. As a brief summary, emphysema is type of coronary obstructive pulmonary disease or COPD, where exposure to irritants like smoking, causes elastin in the small airways and alveolar walls to be broken down, and this leads to air trapping and poor gas exchange. Both of which eventually leads to hypoxemia.